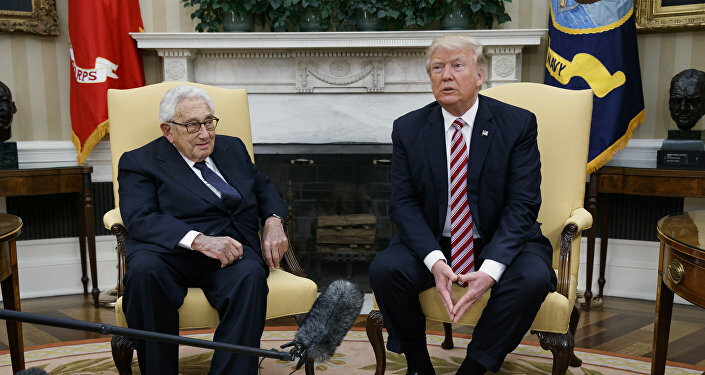 Henry Kissinger, former US secretary of state, political scientist and geopolitical consultant has reportedly advised US President Donald Trump to work with Russia to contain China's rise. However, the alleged strategy might not work. 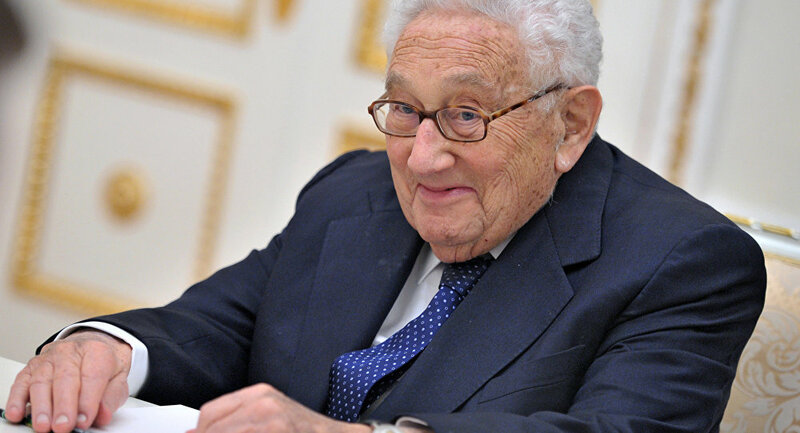 On July 25, The Daily Beast said that in late 2016 and early 2017 Kissinger had urged the American president to improve ties with Russia, citing five sources familiar with the matter. The news came as no surprise: In January 2017, the former American statesman praised Trump's "less confrontational and more political approach" toward Moscow and emphasized Russia's role in global affairs during his speech at the World Economic Forum Annual Meeting. Earlier, on February 4, 2016, Kissinger outlined his vision of Russo-American relations in his op-ed for The National Interest, stressing that "in the emerging multipolar order, Russia should be perceived as an essential element of any new global equilibrium." The new grand design, attributed to Kissinger, resembles his famous master plan to drive a wedge between Moscow and Beijing in the 1970s, when he served as President Richard Nixon's national security adviser. This time the geopolitical consultant, dubbed "Nixon's diplomatic maestro" by The Financial Times, is allegedly seeking to throw sand into China's gears by cozying up to Russia. However, observers point to certain flaws in the supposed strategy. "Kissinger's strategic thinking, molded during the lengthy Cold War, may not prove effective in dealing with China's rise," writes The Global Times, a daily Chinese newspaper. "The country [China] has got so deeply involved in the international economic and political system that it will not be encircled or isolated by anyone." The media outlet argued that "the trilateral relations of China, the US and Russia are no longer the geostrategic triangle of the 1970s": Given Beijing's extensive ties with the world's powers, the potential Russo-American alliance would not automatically lead to China's isolation. Moreover, The Global Times has cast doubt on the very idea that Russia would agree to become a "counterweight to China" for Trump. Referring to China's steady economic development and international influence the media outlet claimed that "no country, including the US, can revamp the world order without China," and suggested that it was far more probable that Washington would finally isolate itself while trying to crack down on Beijing. Similarly, American author and journalist specializing in US foreign policy Fred Kaplan expressed skepticism regarding the new stratagem in his op-ed for Slate. "The three countries no longer form a geostrategic triangle: Though Russia and China cooperate in many spheres, with mixed results and spurts of tension, neither country is crucial to the other's goals or operations," the journalist pointed out. For his part, Ivan Danilov, a Russian economist and Sputnik contributor, presumed that it would be a serious error for Russia to team up with the US in order to contain China. To illustrate his point, Danilov referred to Ukraine which was turned, according to the economist, into nothing short of an anti-Russia "battering-ram" by the Obama administration. Additionally, according to the economist, those who strike "historic deals" with the United States run "a colossal risk" since any agreements concluded by one administration could be easily broken by a successor. The alleged master plan has zero chance of happening, Danilov believes. "A truly substantive dialogue on Russian-American relations could be started only when the White House understands that Russia is one of the world's poles of power with its own rights and interests, and not a 'geopolitical hammer' for battering down the Great Wall of China," the economist opined.